On to Jerusalem in Jesus’ Name! The Jerusalem Cross is a design that appeared with the nobles during the First Crusade and was supposed to provide them with divine protection in the Holy Land. It features five crosses, one large and four small, that are said to represent Jesus and the four evangelists. It also symbolizes the four corners of the world in which Christianity is to be spread. One commentator has said a better rendering is “after tearing ourselves away from them.” This was not an easy farewell! Paul had invested himself deeply in these leaders, and they loved him dearly. we sailed straight to the island of Cos. The next day we reached Rhodes and then went to Patara. 2 There we boarded a ship sailing for Phoenicia. 3 We sighted the island of Cyprus, passed it on our left, and landed at the harbor of Tyre, in Syria, where the ship was to unload its cargo. 4 We went ashore, found the local believers, and stayed with them a week. We have not heard, in the chapters we have read, about the beginning of the church in Tyre. This reminds us that Acts gives only a partial account of all the “acts of the apostles” and of the Holy Spirit during this time! These believers prophesied through the Holy Spirit that Paul should not go on to Jerusalem. 5 When we returned to the ship at the end of the week, the entire congregation, including women and children, left the city and came down to the shore with us. There we knelt, prayed, 6 and said our farewells. Then we went aboard, and they returned home. 7 The next stop after leaving Tyre was Ptolemais, where we greeted the brothers and sisters and stayed for one day. 8 The next day we went on to Caesarea and stayed at the home of Philip the Evangelist, one of the seven men who had been chosen to distribute food. 9 He had four unmarried daughters who had the gift of prophecy. 10 Several days later a man named Agabus, who also had the gift of prophecy, arrived from Judea. 11 He came over, took Paul’s belt, and bound his own feet and hands with it. Then he said, “The Holy Spirit declares, ‘So shall the owner of this belt be bound by the Jewish leaders in Jerusalem and turned over to the Gentiles.’” 12 When we heard this, we and the local believers all begged Paul not to go on to Jerusalem. No matter what lay ahead, Paul was for going on. The warnings from the Holy Spirit were intended to prepare Paul, not to stop him. Orthodox Jews, including even rabbis, receiving revelation that Yeshua is their Messiah. I have sat with my mouth open in amazement and my eyes filled with tears of wonder as I have heard these detailed accounts of the things God is accomplishing among the people of the world. 20 After hearing this, they praised God. And then they said, “You know, dear brother, how many thousands of Jews have also believed, and they all follow the law of Moses very seriously. 21 But the Jewish believers here in Jerusalem have been told that you are teaching all the Jews who live among the Gentiles to turn their backs on the laws of Moses. They’ve heard that you teach them not to circumcise their children or follow other Jewish customs. 22 What should we do? They will certainly hear that you have come. 23 “Here’s what we want you to do. We have four men here who have completed their vow. 24 Go with them to the Temple and join them in the purification ceremony, paying for them to have their heads ritually shaved. Then everyone will know that the rumors are all false and that you yourself observe the Jewish laws. It was absolutely prohibited for Gentiles to go beyond the designated “Court of the Gentiles” in the temple grounds. 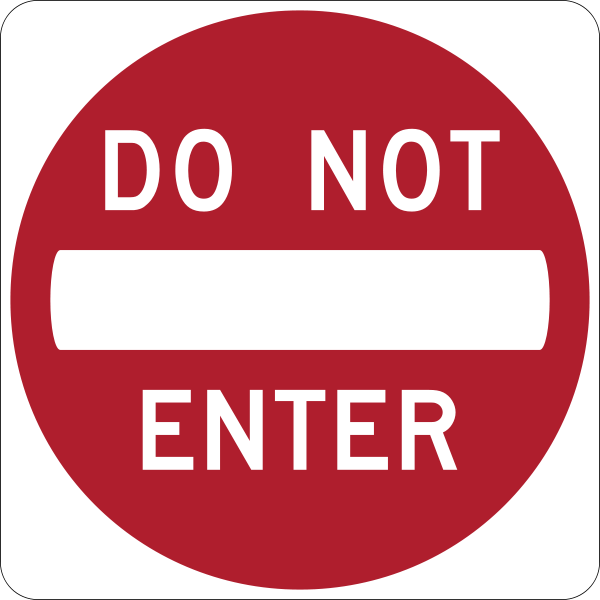 Signs were posted which read (in both Greek and Latin): “No foreigner may enter within the barricade which surrounds the temple and enclosure. Any one who is caught trespassing will bear personal responsibility for his ensuing death.” The Romans were so sensitive to this that they authorized the Jews to execute anyone who offended in this way, even if the offender was a Roman citizen. 30 The whole city was rocked by these accusations, and a great riot followed. Paul was grabbed and dragged out of the Temple, and immediately the gates were closed behind him. 31 As they were trying to kill him, word reached the commander of the Roman regiment that all Jerusalem was in an uproar. 32 He immediately called out his soldiers and officers and ran down among the crowd. When the mob saw the commander and the troops coming, they stopped beating Paul. 33 Then the commander arrested him and ordered him bound with two chains. That is to say, handcuffed to a soldier on either side. Did he think of the prophecy of Agabus (verse 11)? Once again Paul benefits from his Roman citizenship. so Paul stood on the stairs and motioned to the people to be quiet. Soon a deep silence enveloped the crowd, and he addressed them in their own language, Aramaic. 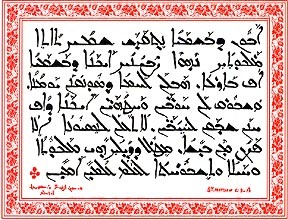 This is the Lord’s Prayer written in Aramaic, the language Jesus spoke. 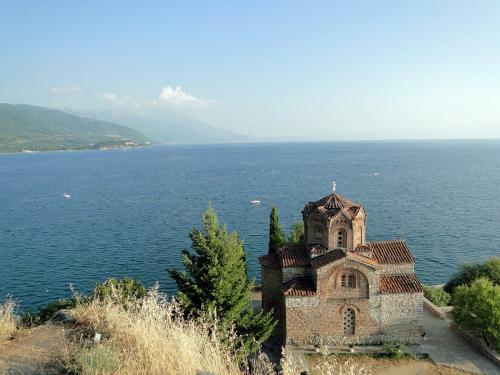 The Church of St. John on Lake Ohrid, Macedonia, dates to the 13th century. 1 When the uproar was over, Paul sent for the believers and encouraged them. Then he said good-bye and left for Macedonia. 2 While there, he encouraged the believers in all the towns he passed through. Then he traveled down to Greece, 3 where he stayed for three months. He was preparing to sail back to Syria when he discovered a plot by some Jews against his life, so he decided to return through Macedonia. 4 Several men were traveling with him. They were Sopater son of Pyrrhus from Berea; Aristarchus and Secundus from Thessalonica; Gaius from Derbe; Timothy; and Tychicus and Trophimus from the province of Asia. 5 They went on ahead and waited for us at Troas. 6 After the Passover ended, we boarded a ship at Philippi in Macedonia and five days later joined them in Troas, where we stayed a week. 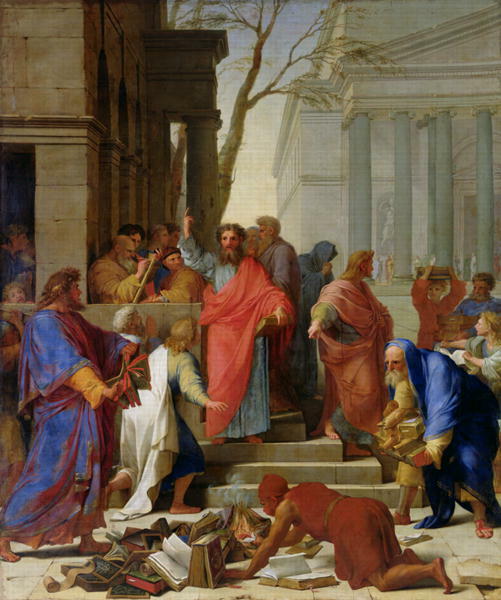 As Paul visited and encouraged churches he had established, he was also collecting money from them as a gift to the mother church in Jerusalem. The men who accompanied him as he headed back to Jerusalem were likely representatives of the various churches, coming to bring their greetings personally along with the money. 7 On the first day of the week, we gathered with the local believers to share in the Lord’s Supper. Something new here! Believers are meeting on the first day of the week — on Sunday — for the Word and bread and wine. Paul was preaching to them, and since he was leaving the next day, he kept talking until midnight. 8 The upstairs room where we met was lighted with many flickering lamps. 9 As Paul spoke on and on, a young man named Eutychus, sitting on the windowsill, became very drowsy. Finally, he fell sound asleep and dropped three stories to his death below. 10 Paul went down, bent over him, and took him into his arms. “Don’t worry,” he said, “he’s alive!” 11 Then they all went back upstairs, shared in the Lord’s Supper, and ate together. Paul continued talking to them until dawn, and then he left. 12 Meanwhile, the young man was taken home unhurt, and everyone was greatly relieved. 13 Paul went by land to Assos, where he had arranged for us to join him, while we traveled by ship. 14 He joined us there, and we sailed together to Mitylene. 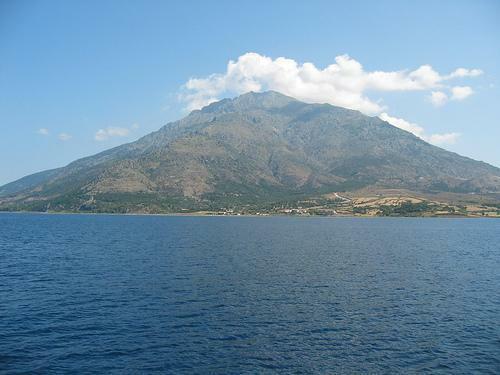 15 The next day we sailed past the island of Kios. The following day we crossed to the island of Samos, and a day later we arrived at Miletus. 16 Paul had decided to sail on past Ephesus, for he didn’t want to spend any more time in the province of Asia. He was hurrying to get to Jerusalem, if possible, in time for the Festival of Pentecost. 17 But when we landed at Miletus, he sent a message to the elders of the church at Ephesus, asking them to come and meet him. 18 When they arrived he declared, “You know that from the day I set foot in the province of Asia until now 19 I have done the Lord’s work humbly and with many tears. 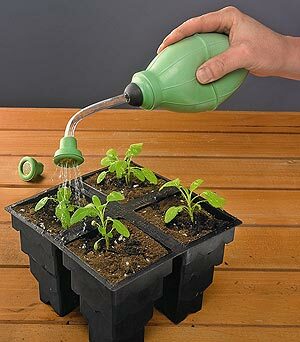 I have endured the trials that came to me from the plots of the Jews. 20 I never shrank back from telling you what you needed to hear, either publicly or in your homes. 21 I have had one message for Jews and Greeks alike—the necessity of repenting from sin and turning to God, and of having faith in our Lord Jesus. 22 “And now I am bound by the Spirit to go to Jerusalem. I don’t know what awaits me, 23 except that the Holy Spirit tells me in city after city that jail and suffering lie ahead. 24 But my life is worth nothing to me unless I use it for finishing the work assigned me by the Lord Jesus—the work of telling others the Good News about the wonderful grace of God. It is easier to serve God without a vision, easier to work for God without a call, because then you are not bothered by what God requires; common sense is your guide, veneered over with Christian sentiment. You will be more prosperous and successful, more leisure-hearted, if you never realize the call of God. But if once you receive a commission from Jesus Christ, the memory of what God wants will always come like a goad; you will no longer be able to work for Him on the common-sense basis. Paul says he counted his life dear only in order that he might fulfill the ministry he had received. 25 “And now I know that none of you to whom I have preached the Kingdom will ever see me again. 26 I declare today that I have been faithful. 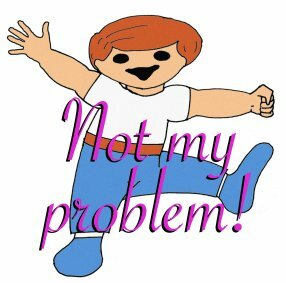 If anyone suffers eternal death, it’s not my fault, 27 for I didn’t shrink from declaring all that God wants you to know. 28 “So guard yourselves and God’s people. Feed and shepherd God’s flock—his church, purchased with his own blood—over which the Holy Spirit has appointed you as elders. 29 I know that false teachers, like vicious wolves, will come in among you after I leave, not sparing the flock. 30 Even some men from your own group will rise up and distort the truth in order to draw a following. 31 Watch out! Remember the three years I was with you—my constant watch and care over you night and day, and my many tears for you. Enemies of the gospel — from outside the church, and from inside the church. Pastors must carefully guard themselves and the people God has entrusted to them! Do we pray zealously for our pastors to be able to feed and protect their flocks with God’s grace and strength? 32 “And now I entrust you to God and the message of his grace that is able to build you up and give you an inheritance with all those he has set apart for himself. 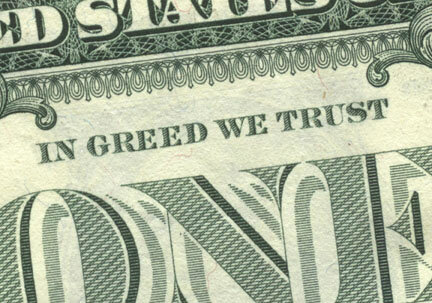 Avarice, greed, concupiscence, and so forth are all based on the mathematical truism that the more you get, the more you have. The remark of Jesus that it is more blessed to give than to receive is based on the human truth that the more you give away in love, the more you are. 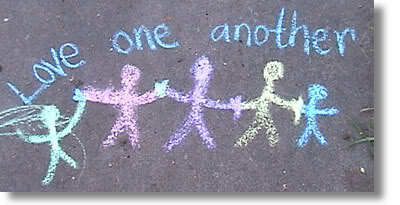 It is not just for the sake of other people that Jesus tells us to give rather than get, but for our own sakes too. 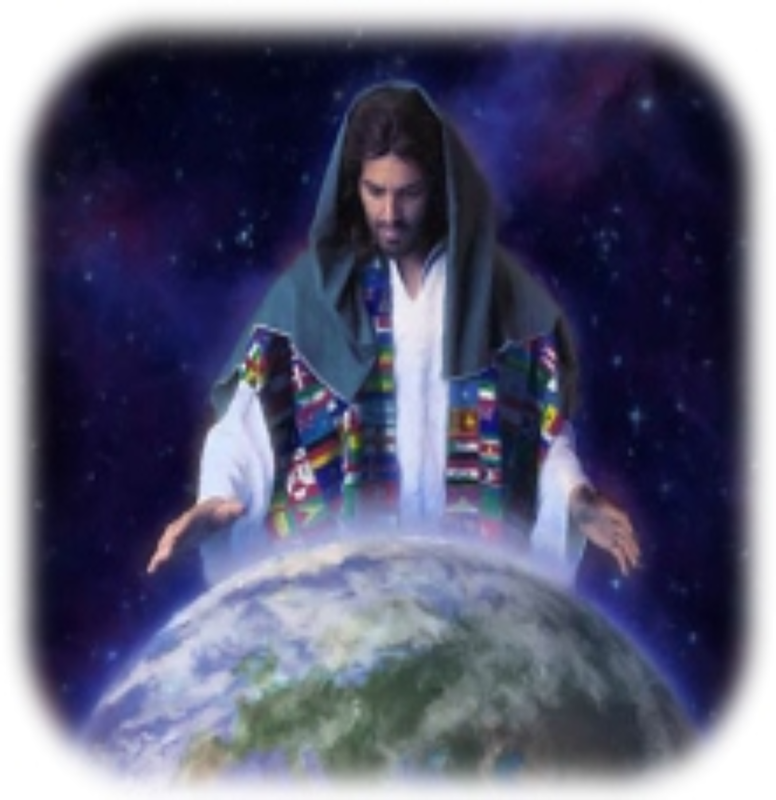 36 When he had finished speaking, he knelt and prayed with them. 37 They all cried as they embraced and kissed him good-bye. 38 They were sad most of all because he had said that they would never see him again. Then they escorted him down to the ship. See how they loved him! The harbor of Miletus in modern Turkey began its decline in the Middle Ages when silt from the River Meander began filling it up. 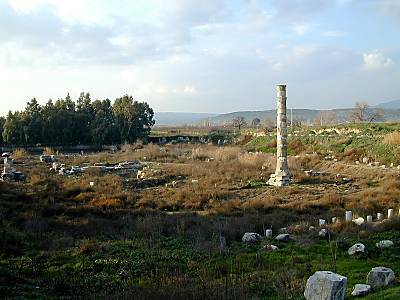 This single column and parts of the foundation are all that now remain of the Temple of Artemis (Diana) in Ephesus, one of the Seven Wonders of the Ancient World. 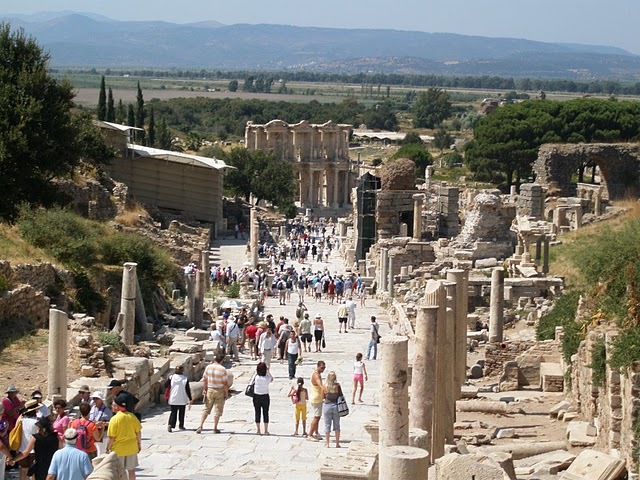 Archaeologists have been digging in Ephesus on and off since 1863. 1 While Apollos was in Corinth, Paul traveled through the interior regions until he reached Ephesus, on the coast, where he found several believers. 2 “Did you receive the Holy Spirit when you believed?” he asked them. 3 “Then what baptism did you experience?” he asked. 5 As soon as they heard this, they were baptized in the name of the Lord Jesus. 6 Then when Paul laid his hands on them, the Holy Spirit came on them, and they spoke in other tongues and prophesied. 7 There were about twelve men in all. Few places have made such an impression on me as the ruins of Ephesus. Such a life-like-ness! It is as though all the Ephesians just stepped out. I nearly expected to run into Paul around the next corner. It seems likely that Tyrannus lectured there in the cooler morning hours, leaving the hall to Paul afterward. Paul may have worked his trade in the morning to support himself, and then taught in the afternoon. This fragment of an ancient Greek papyrus contains remedies for an earache. Invocation to be uttered over the head of the possessed one. 21 Afterward Paul felt compelled by the Spirit to go over to Macedonia and Achaia before going to Jerusalem. “And after that,” he said, “I must go on to Rome!” 22 He sent his two assistants, Timothy and Erastus, ahead to Macedonia while he stayed awhile longer in the province of Asia. 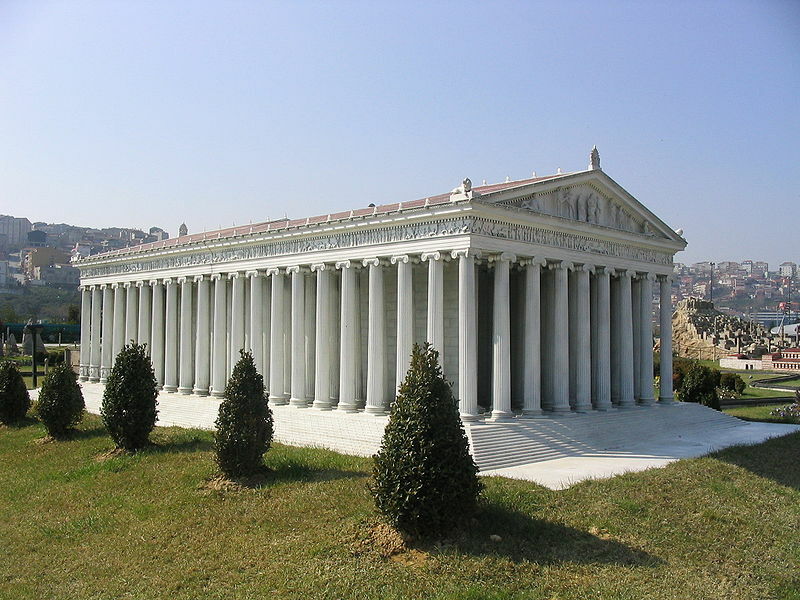 This is a reproduction of the Temple of Artemis (Diana) from Ephesus (present day Turkey). The original was beyond beautiful, one of the Seven Wonders of the Ancient World, measuring 425 ft long, 220 ft wide, and 60 ft high. When the goddess Artemis was represented in stone and metals, she bore upon her head a mural headdress, representing a fortified city wall; from it, drapery hung upon each side of her face to her shoulders. 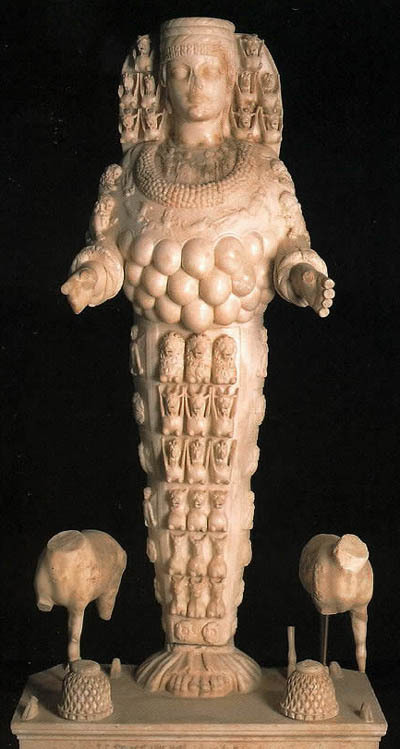 The upper part of her body was completely covered with rows of breasts to signify that she was the mother of all life. The lower arms were extended. In later times her Greek followers represented her with stags or lions standing at her sides. The most renowned of her statues stood on the platform before the entrance to her temple in Ephesus, shown above. As the statues indicate, she impersonated the reproductive powers of men and of animals and of all other life. 28 At this their anger boiled, and they began shouting, “Great is Artemis of the Ephesians!” 29 Soon the whole city was filled with confusion. Everyone rushed to the amphitheater, dragging along Gaius and Aristarchus, who were Paul’s traveling companions from Macedonia. 30 Paul wanted to go in, too, but the believers wouldn’t let him. 31 Some of the officials of the province, friends of Paul, also sent a message to him, begging him not to risk his life by entering the amphitheater. 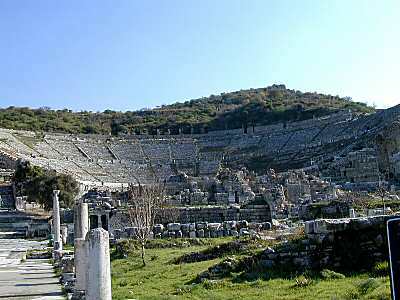 The mob gathered here, at the Great Theater of Ephesus, which, when completed, seated some 24,000 people. If you ever sit there, you will hear its excellent acoustics! It was severely damaged by an earthquake in A.D. 262. Imagine the racket! The chanting could no doubt be heard all over the city. HERE is a song to answer them: Chris Tomlin’s “How Great Is Our God.” Go ahead, turn up the volume and let it ring! 35 At last the mayor was able to quiet them down enough to speak. “Citizens of Ephesus,” he said. “Everyone knows that Ephesus is the official guardian of the temple of the great Artemis, whose image fell down to us from heaven. 36 Since this is an undeniable fact, you should stay calm and not do anything rash. 37 You have brought these men here, but they have stolen nothing from the temple and have not spoken against our goddess. 38 “If Demetrius and the craftsmen have a case against them, the courts are in session and the officials can hear the case at once. Let them make formal charges. 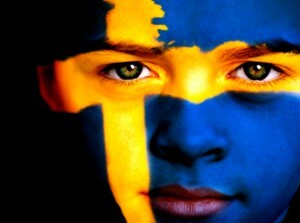 39 And if there are complaints about other matters, they can be settled in a legal assembly. 40 I am afraid we are in danger of being charged with rioting by the Roman government, since there is no cause for all this commotion. And if Rome demands an explanation, we won’t know what to say.” 41 Then he dismissed them, and they dispersed. 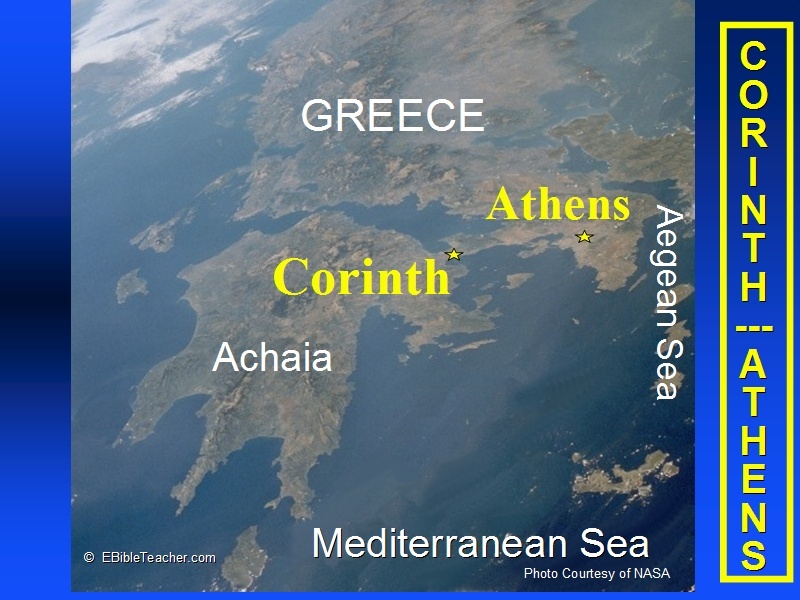 This NASA map clearly shows Corinth’s land bridge and double harbors. 1 Then Paul left Athens and went to Corinth. 2 There he became acquainted with a Jew named Aquila, born in Pontus, who had recently arrived from Italy with his wife, Priscilla. They had left Italy when Claudius Caesar deported all Jews from Rome (some scholars place the deportation at about AD 49). 3 Paul lived and worked with them, for they were tentmakers just as he was. Even today, if a missionary has an outside job to support himself or herself on the mission field, it is called tentmaking. But now Timothy has just returned, bringing us good news about your faith and love. He reports that you always remember our visit with joy and that you want to see us as much as we want to see you. So we have been greatly encouraged in the midst of our troubles and suffering, dear brothers and sisters, because you have remained strong in your faith. It gives us new life to know that you are standing firm in the Lord. 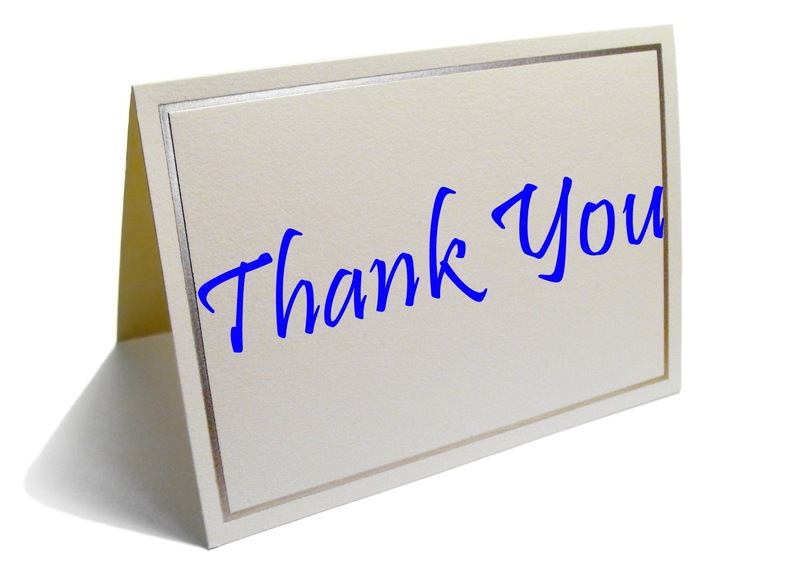 How we thank God for you! Because of you we have great joy as we enter God’s presence. Night and day we pray earnestly for you, asking God to let us see you again to fill the gaps in your faith. 7 Then he left and went to the home of Titius Justus, a Gentile who worshiped God and lived next door to the synagogue. 8 Crispus, the leader of the synagogue, and everyone in his household believed in the Lord. Many others in Corinth also heard Paul, became believers, and were baptized. 9 One night the Lord spoke to Paul in a vision and told him, “Don’t be afraid! Speak out! Don’t be silent! 10 For I am with you, and no one will attack and harm you, for many people in this city belong to me.” 11 So Paul stayed there for the next year and a half, teaching the word of God. 14 But just as Paul started to make his defense, Gallio turned to Paul’s accusers and said, “Listen, you Jews, if this were a case involving some wrongdoing or a serious crime, I would have a reason to accept your case. 15 But since it is merely a question of words and names and your Jewish law, take care of it yourselves. I refuse to judge such matters.” 16 And he threw them out of the courtroom. 17 The crowd then grabbed Sosthenes, the leader of the synagogue, and beat him right there in the courtroom. But Gallio paid no attention. By refusing to get involved in strictly religious matters, Gallio does right — and effectively gives legal protection to Christianity. 18 Paul stayed in Corinth for some time after that, then said good-bye to the brothers and sisters and went to nearby Cenchrea. There he shaved his head according to Jewish custom, marking the end of a vow. The vow was probably the vow of a Nazirite (Numbers 6). Usually, the vow of a Nazirite was taken for a certain period of time, and when completed, the hair (which had been allowed to freely grow) was cut off and offered to the Lord at a special ceremony at the temple in Jerusalem. Then he set sail for Syria, taking Priscilla and Aquila with him. 19 They stopped first at the port of Ephesus, where Paul left the others behind. While he was there, he went to the synagogue to reason with the Jews. 20 They asked him to stay longer, but he declined. 21 As he left, however, he said, “I will come back later, God willing.” Then he set sail from Ephesus. 22 The next stop was at the port of Caesarea. From there he went up and visited the church at Jerusalem and then went back to Antioch. 23 After spending some time in Antioch, Paul went back through Galatia and Phrygia, visiting and strengthening all the believers. 24 Meanwhile, a Jew named Apollos, an eloquent speaker who knew the Scriptures well, had arrived in Ephesus from Alexandria in Egypt. 25 He had been taught the way of the Lord, and he taught others about Jesus with an enthusiastic spirit and with accuracy. However, he knew only about John’s baptism. 26 When Priscilla and Aquila heard him preaching boldly in the synagogue, they took him aside and explained the way of God even more accurately. 27 Apollos had been thinking about going to Achaia, and the brothers and sisters in Ephesus encouraged him to go. They wrote to the believers in Achaia, asking them to welcome him. When he arrived there, he proved to be of great benefit to those who, by God’s grace, had believed. 28 He refuted the Jews with powerful arguments in public debate. Using the Scriptures, he explained to them that Jesus was the Messiah. Apollos turned out to be a valuable helper to Paul in carrying out his work in Corinth and Ephesus. 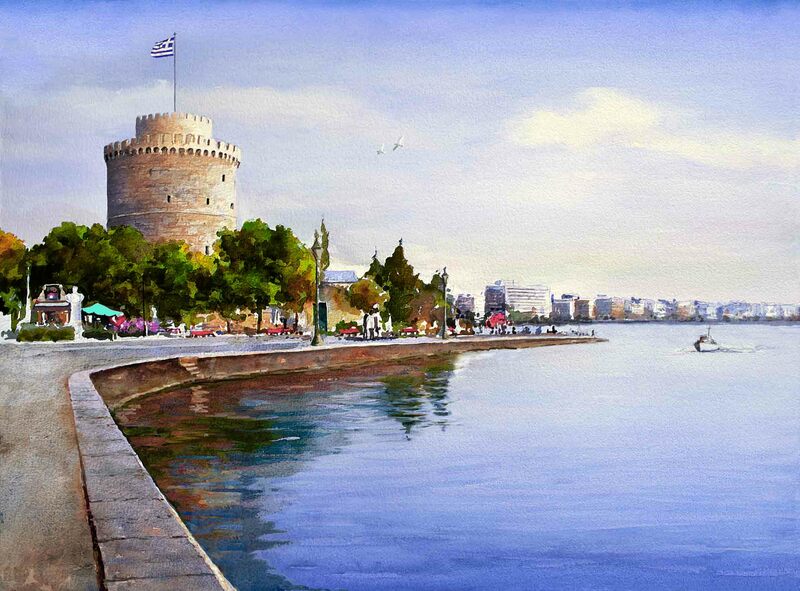 Thessaloniki, with its beautiful White Tower, is the second-largest city in Greece. 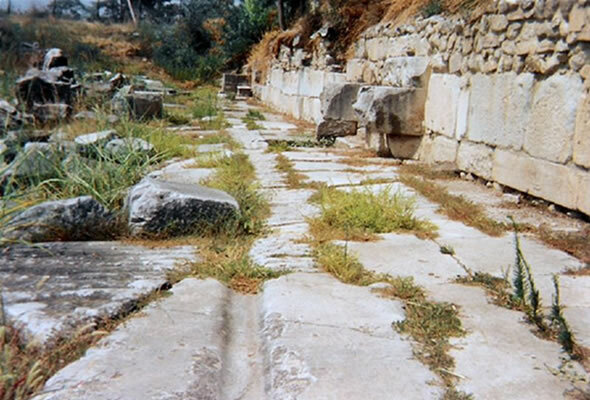 The Via Egnatia was a road built by the Romans in the second century BCE. It went west from the Bosphorus across Greece (Macedonia, Thrace) to the Adriatic, some 700 miles. Like other major Roman roads, it was nearly 20 feet wide, surfaced with large slabs of carefully fitted stones. It linked Neapolis, Philippi, and Thessalonica. Paul would have walked this very road. 1 Paul and Silas then traveled through the towns of Amphipolis and Apollonia and came to Thessalonica, where there was a Jewish synagogue. 2 As was Paul’s custom, he went to the synagogue service, and for three Sabbaths in a row he used the Scriptures to reason with the people. 3 He explained the prophecies and proved that the Messiah must suffer and rise from the dead. He said, “This Jesus I’m telling you about is the Messiah.” 4 Some of the Jews who listened were persuaded and joined Paul and Silas, along with many God-fearing Greek men and quite a few prominent women. As you know, you Philippians were the only ones who gave me financial help when I first brought you the Good News and then traveled on from Macedonia. No other church did this. Even when I was in Thessalonica you sent help more than once. 5 But some of the Jews were jealous, so they gathered some troublemakers from the marketplace to form a mob and start a riot. Doesn’t this sound familiar? Paul encountered the same envious reaction to his successful ministry during his first missionary journey in Antioch of Pisidia (Acts 13: 45 and 50), in Iconium (Acts 14:2 and 5), and in Lystra (Acts 14:19). Any talk of a rival to the Emperor was strictly forbidden by Rome. 8 The people of the city, as well as the city council, were thrown into turmoil by these reports. 9 So the officials forced Jason and the other believers to post bond, and then they released them. 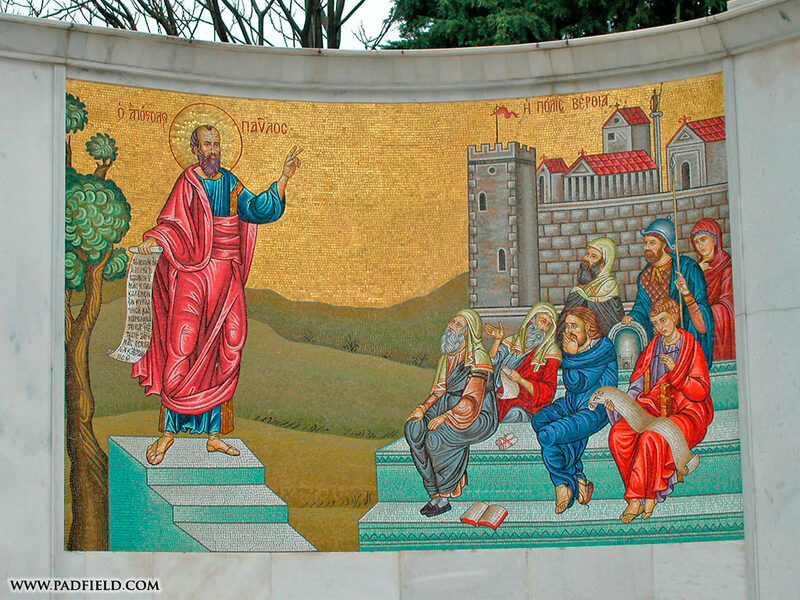 Mosaic of “Paul Preaching to the Noble Bereans” from the Altar of St. Paul in Veria (Berea), Greece. 10 That very night the believers sent Paul and Silas to Berea. The believers sent Paul to a safe place. Cicero calls Berea an “out-of-the-way town.” Here Paul and his friends can stay until things settle down in Thessalonica. When they arrived there, they went to the Jewish synagogue. 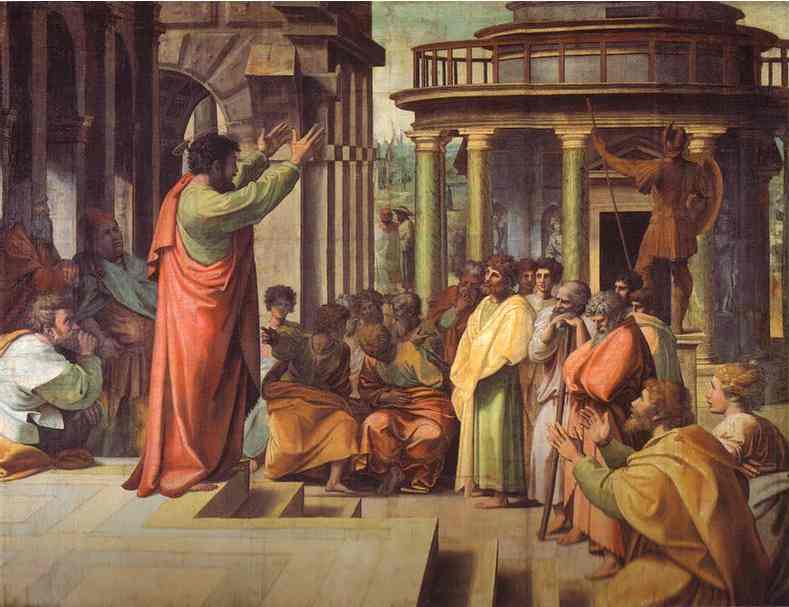 11 And the people of Berea were more open-minded than those in Thessalonica, and they listened eagerly to Paul’s message. They searched the Scriptures day after day to see if Paul and Silas were teaching the truth. 12 As a result, many Jews believed, as did many of the prominent Greek women and men. I want to be a Berean! — searching the Scriptures to know what the Lord says is true and right! Here is Henry Purcell’s “Thy Word Is a Lantern,” sung by the Choir of the Kings Consort, directed by Robert King. Thy word is a lantern unto my feet, and a light unto my path. I have sworn, and am steadfastly purposed to keep thy righteous judgements. I am troubled above measure: Quicken me, O Lord, according to thy word. Let the freewill offerings of my mouth please thee O Lord, and teach me thy judgements. The ungodly have laid a snare for me, but yet I swerved not from thy commandments. And why? They are the very joy of my heart. Alleluia. 13 But when some Jews in Thessalonica learned that Paul was preaching the word of God in Berea, they went there and stirred up trouble. 14 The believers acted at once, sending Paul on to the coast, while Silas and Timothy remained behind. 15 Those escorting Paul went with him all the way to Athens; then they returned to Berea with instructions for Silas and Timothy to hurry and join him. 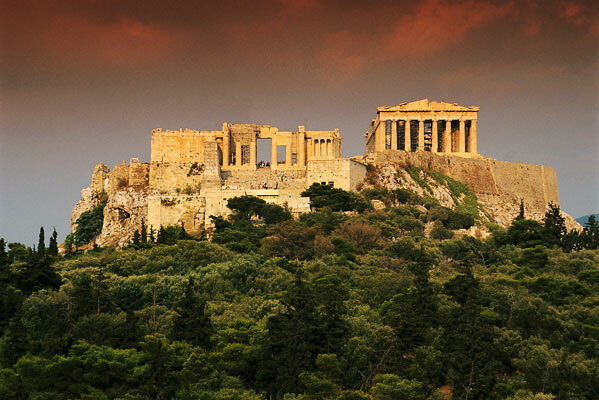 The Parthenon, on the Acropolis, was already over 400 years old when Paul arrived in Athens. 16 While Paul was waiting for them in Athens, he was deeply troubled by all the idols he saw everywhere in the city. 17 He went to the synagogue to reason with the Jews and the God-fearing Gentiles, and he spoke daily in the public square to all who happened to be there. 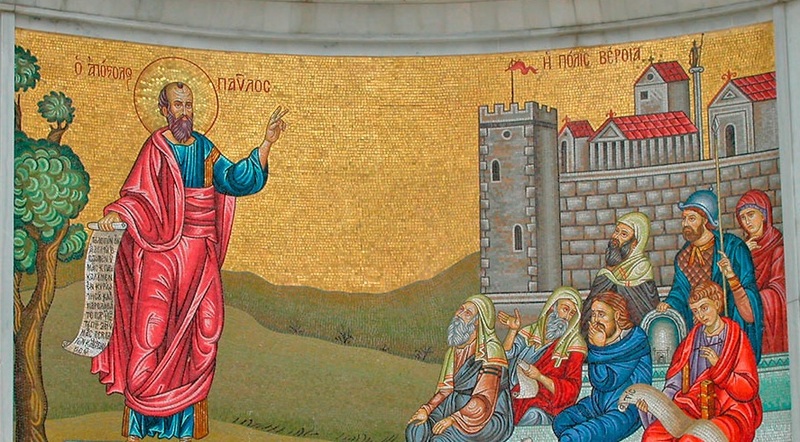 Athens was an old city by the time Paul came, and its glory days were behind it. But it was still the intellectual center of the Roman Empire, a city known for its culture and education and philosophy. To over-simplify: Epicureans, believing in chance and indifferent to the gods, lived for pleasure, which was best produced by virtue — while Stoics were pantheists who fostered an indifference to pain and pleasure, since each came from the gods. Both philosophies were popular in the Roman era. “Men of Athens, I notice that you are very religious in every way, 23 for as I was walking along I saw your many shrines. And one of your altars had this inscription on it: ‘To an Unknown God.’ This God, whom you worship without knowing, is the one I’m telling you about. Paul starts not with an overview of Hebrew history, as he often did in Jewish synagogues. 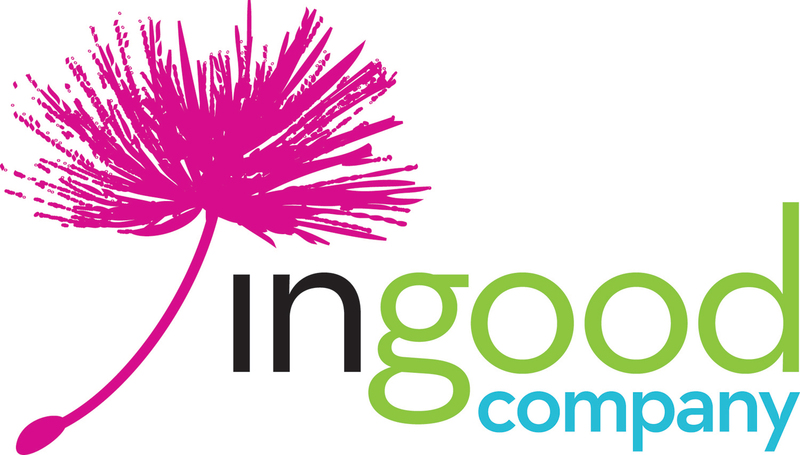 Instead, he begins with God as Creator, distinct from His creation, and mindful of the people He had created. This is a very different philosophy from the Epicureans, who believed the gods had little to do with people, and from the Stoics, who saw gods in everything. Zeus fills the seas, the shores, the rivers! Everywhere our need is Zeus! We also are his offspring! Greeks believed in the immortality of the soul. But they believed the body was material and inherently evil; the idea of a glorified, resurrected body made no sense to them. 33 That ended Paul’s discussion with them, 34 but some joined him and became believers. Among them were Dionysius, a member of the council, a woman named Damaris, and others with them. If you click on this map, it will come up more clearly for you to read more easily. Click HERE for a preview of Paul’s second missionary journey! 1 Paul went first to Derbe and then to Lystra, where there was a young disciple named Timothy. His mother was a Jewish believer, but his father was a Greek. Remember Lystra? First, the people there thought Paul was a god and tried to offer sacrifices to him. Then they tried to stone him to death. Had Timothy and his mother seen Paul’s strong witness for Christ in those very events? Timothy will become one of Paul’s close co-workers and the recipient of two of Paul’s letters. 2 Timothy was well thought of by the believers in Lystra and Iconium, 3 so Paul wanted him to join them on their journey. In deference to the Jews of the area, he arranged for Timothy to be circumcised before they left, for everyone knew that his father was a Greek. Paul has Timothy circumcised not for his salvation, but for the sake of ministering unhindered among the Jews. 4 Then they went from town to town, instructing the believers to follow the decisions made by the apostles and elders in Jerusalem. 5 So the churches were strengthened in their faith and grew larger every day. 6 Next Paul and Silas traveled through the area of Phrygia and Galatia, because the Holy Spirit had prevented them from preaching the word in the province of Asia at that time. Asia in New Testament times does not mean China and Japan! 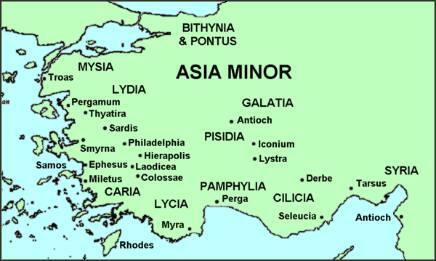 It means the Roman province of Asia Minor, which is present-day Turkey. 7 Then coming to the borders of Mysia, they headed north for the province of Bithynia, but again the Spirit of Jesus did not allow them to go there. 8 So instead, they went on through Mysia to the seaport of Troas. Paul is being guided by hindrance. The Holy Spirit often guides as much by the closing of doors as He does by the opening of doors. 9 That night Paul had a vision: A man from Macedonia in northern Greece was standing there, pleading with him, “Come over to Macedonia and help us!” 10 So we decided to leave for Macedonia at once, having concluded that God was calling us to preach the Good News there. Notice the shift in pronouns, from they in verse 8 to we in verse 10? Perhaps here is where Luke joined Paul on the trip. 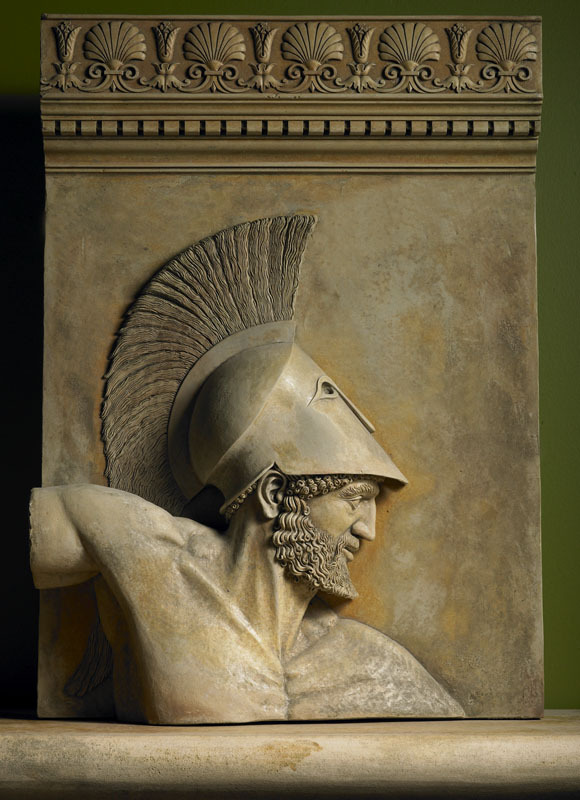 “The ferocious sea god, Poseidon, is portrayed in Homer’s Iliad as sitting on a mountain crag of Samothrace watching two armies clash on the mainland, watching Troy fall. and the next day we landed at Neapolis. 12 From there we reached Philippi, a major city of that district of Macedonia and a Roman colony. And we stayed there several days. Paul had had in mind more cities for Christ, but God wanted a whole continent! So Paul brought the gospel to Europe. It started in Greece and went on to Rome. Eventually the Good News made it all the way to Norway, where my ancestors learned they could leave their sins at the foot of the cross and walk through life with Jesus. I am so grateful to Paul for paving the way for the gospel to come to my family! 13 On the Sabbath we went a little way outside the city to a riverbank, where we thought people would be meeting for prayer, and we sat down to speak with some women who had gathered there. This is a small Jewish community, for had there been ten men, they would have had a synagogue. 14 One of them was Lydia from Thyatira, a merchant of expensive purple cloth, who worshiped God. 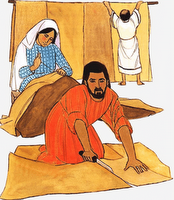 Purple cloth was a luxurious, high-end product, and Thyatira was a center for the dye and the cloth. Later a church was established at Thyatira, for one of the letters in Revelation is addressed here (Rev. 2:18-29). As she listened to us, the Lord opened her heart, and she accepted what Paul was saying. 15 She was baptized along with other members of her household, and she asked us to be her guests. “If you agree that I am a true believer in the Lord,” she said, “come and stay at my home.” And she urged us until we agreed. Such openness of heart towards the Lord led her to open her home to Paul and his group. Lydia understood the value of hospitality! 18 This went on day after day until Paul got so exasperated that he turned and said to the demon within her, “I command you in the name of Jesus Christ to come out of her.” And instantly it left her. Paul, like Jesus, does not need or want demons testifying on his behalf. Jesus, also, told demons who were proclaiming His name to be silent (as in Matthew 8:28-34). 19 Her masters’ hopes of wealth were now shattered, so they grabbed Paul and Silas and dragged them before the authorities at the marketplace. 20 “The whole city is in an uproar because of these Jews!” they shouted to the city officials. Given the same situation, would I respond so faithfully? In not escaping, they showed tremendous discernment. The circumstances said, “escape.” But love said, “Stay for the sake of this one soul.” They were not guided merely by circumstances, but by what love compelled. 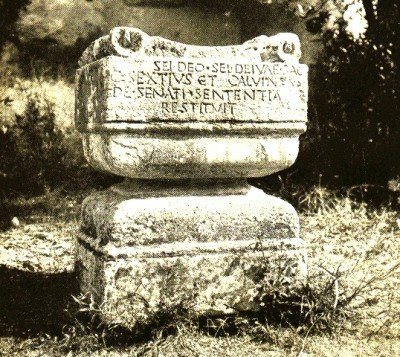 Roman citizens had specific and zealously guarded civil rights. They were entitled to a trial, and were not to be flogged. Paul did not get a trial, and he was beaten. He knows this information of his Roman citizenship is game-changing. The earth shook; jail doors opened! The Lord set them free! John 13:7 — Jesus answered and said unto him, What I do thou knowest not now; but thou shalt know hereafter. Matthew 5:11 — Blessed are ye, when men shall revile you, and persecute you, and shall say all manner of evil against you falsely, for My sake. In Acts 16 we read how Paul was forbidden by the Holy Spirit to go to preach the word in Asia (verse 6) and in Bithynia (verse 7), but had a vision of a man saying, Come over to Macedonia, and help us. And immediately they set out, assuredly gathering that the Lord had called us for to preach the gospel unto them (verse 9-10). The result was bad trouble; they were beaten, cast into prison, and put in the stocks. It must have been very perplexing for them. To the questions that come about things we know the Lord does (verses 6 and 7), the answer of peace is found in John 13:7. To the opposite kind of question, about things the devil does (verse 20 onwards), we have Matthew 5:11. This distinction holds good every time. In this one chapter of Acts we have opportunities for both kinds of questions, exactly as in one short period of life we may find ourselves faced with both. 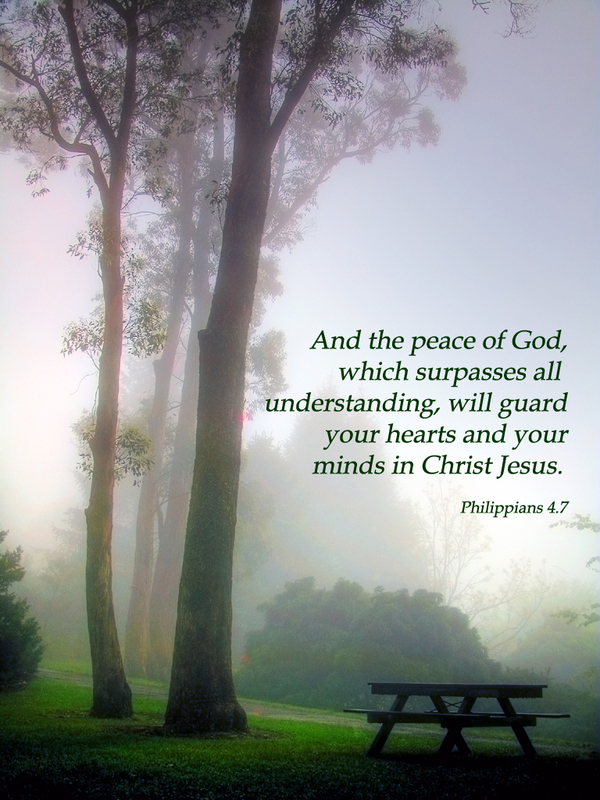 But there is always peace in these two answers. They explain nothing, but they still the heart and lead it into quietness. That is why at midnight Paul and Silas were able to sing praises to God; and we know what happened after that. Charles Wesley’s beloved hymn, “And Can It Be (Amazing Love),” sung by the Altar of Praise Chorale. With thanks to my friend Carole! 1 While Paul and Barnabas were at Antioch of Syria, some men from Judea arrived and began to teach the believers: “Unless you are circumcised as required by the law of Moses, you cannot be saved.” 2 Paul and Barnabas disagreed with them, arguing vehemently. Finally, the church decided to send Paul and Barnabas to Jerusalem, accompanied by some local believers, to talk to the apostles and elders about this question. 3 The church sent the delegates to Jerusalem, and they stopped along the way in Phoenicia and Samaria to visit the believers. They told them—much to everyone’s joy—that the Gentiles, too, were being converted. So the question at hand is this: How are we saved? — by our good works, or by Christ’s work on the cross, or by a combination of our obedience to the Law and our faith in Christ? 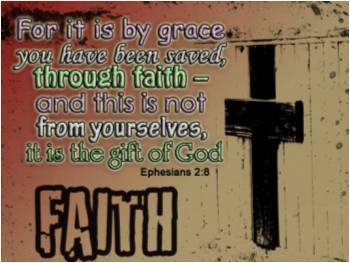 The answer is crucial to the shape of the Christian faith. 6 So the apostles and elders met together to resolve this issue. Nobody talks about good meetings; only bad ones. But I think that if ever there was an opportunity for individuals to shine, it is at meetings. And if we, as individuals, are dedicated to mining our own talents to contribute to a greater good, a meeting is the place to do it. Meetings are the proscenium stages for business players. Meetings are an education about every person who participates in them. Peter has obviously spent some time listening to the Holy Spirit and thinking about this issue. His answer goes straight to his vision, that “I should not call anyone unclean.” The Law of Moses did not cleanse the hearts of the Gentiles (Cornelius and his household) — rather, they were cleansed by faith! 12 Everyone listened quietly as Barnabas and Paul told about the miraculous signs and wonders God had done through them among the Gentiles. and restore the fallen house of David. Thank you, Council at Jerusalem, for settling the question and affirming that salvation from Jesus Christ is by faith and not by works! “We Can Work It Out,” a Beatles classic from 1965, performed in Madrid, 2004, by Paul McCartney. 24 “We understand that some men from here have troubled you and upset you with their teaching, but we did not send them! 25 So we decided, having come to complete agreement, to send you official representatives, along with our beloved Barnabas and Paul, 26 who have risked their lives for the name of our Lord Jesus Christ. 27 We are sending Judas and Silas to confirm what we have decided concerning your question. 30 The messengers went at once to Antioch, where they called a general meeting of the believers and delivered the letter. 31 And there was great joy throughout the church that day as they read this encouraging message. 32 Then Judas and Silas, both being prophets, spoke at length to the believers, encouraging and strengthening their faith. 33 They stayed for a while, and then the believers sent them back to the church in Jerusalem with a blessing of peace. 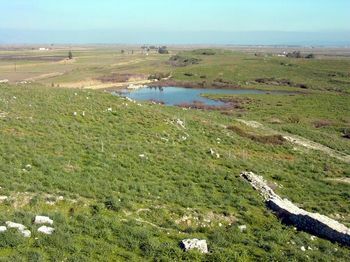 35 Paul and Barnabas stayed in Antioch. They and many others taught and preached the word of the Lord there. 36 After some time Paul said to Barnabas, “Let’s go back and visit each city where we previously preached the word of the Lord, to see how the new believers are doing.” 37 Barnabas agreed and wanted to take along John Mark. 38 But Paul disagreed strongly, since John Mark had deserted them in Pamphylia and had not continued with them in their work. 39 Their disagreement was so sharp that they separated. Paul and Barnabas had been set aside for the ministry of the Gospel among the Gentiles and had traveled through many areas and announced the Gospel. Yet Luke testified that there came such a sharp disagreement between them that they parted company. Here there was a fault either in Paul or in Barnabas. It must have been a very sharp disagreement to separate such close companions, and this is what the text suggests. Such examples are written for our comfort. For it is a great comfort for us to hear that even such great saints sin–a comfort which those who say that saints cannot sin would take away from us. Samson, David and many other celebrated leaders who were full of the Holy Spirit fell in huge sins. Such errors and sins of the saints are set forth in order that those who are troubled and desperate may find comfort and that those who are proud may be afraid. No one has ever fallen so grievously as to not have stood up again. On the other hand, no one has such a sure footing that he or she cannot fall. 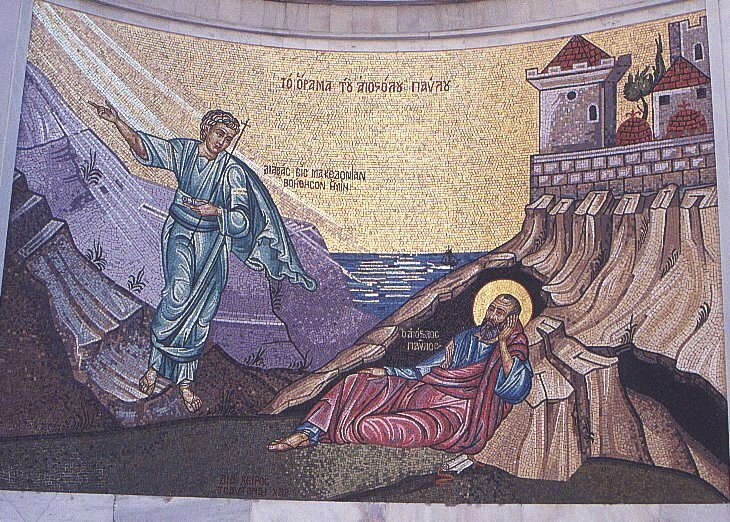 If Peter fell, I, too, may fall; if he stood up again, so can I.
Barnabas took John Mark with him and sailed for Cyprus. 40 Paul chose Silas, and as he left, the believers entrusted him to the Lord’s gracious care. 41 Then he traveled throughout Syria and Cilicia, strengthening the churches there. You are currently browsing the DWELLING in the Word blog archives for January, 2011.